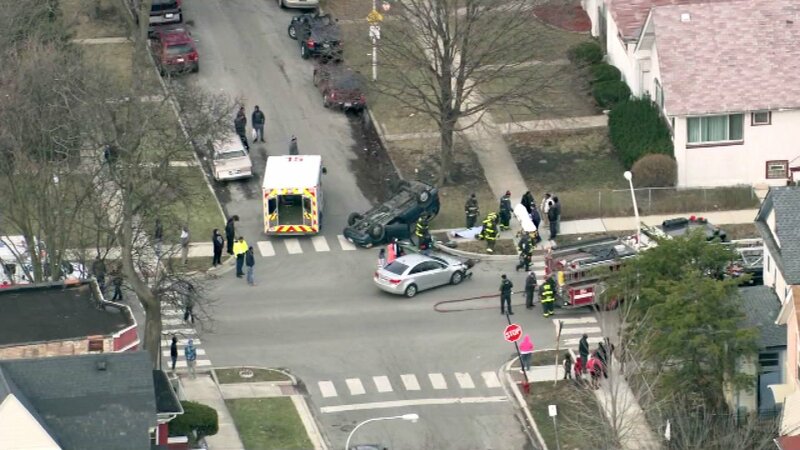 CHICAGO (WLS) -- One person was injured in a rollover crash in Chicago's Austin neighborhood. The crash happened around 4 p.m. at West Augusta Boulevard and North Lockwood Avenue. The circumstances surrounding the crash were not immediately clear. One person was taken by paramedics for treatment. The nature and severity of his injuries was not immediately released.